1959 Rover 3 Litre Car Ad, NICE!! Vintage Paper Ads > Cars - Trucks > Rover > 1959 Rover 3 Litre Car Ad, NICE!! This is a 1959 ad for a Rover 3 litre car! The size of the ad is approximately 8.5x11 inches. 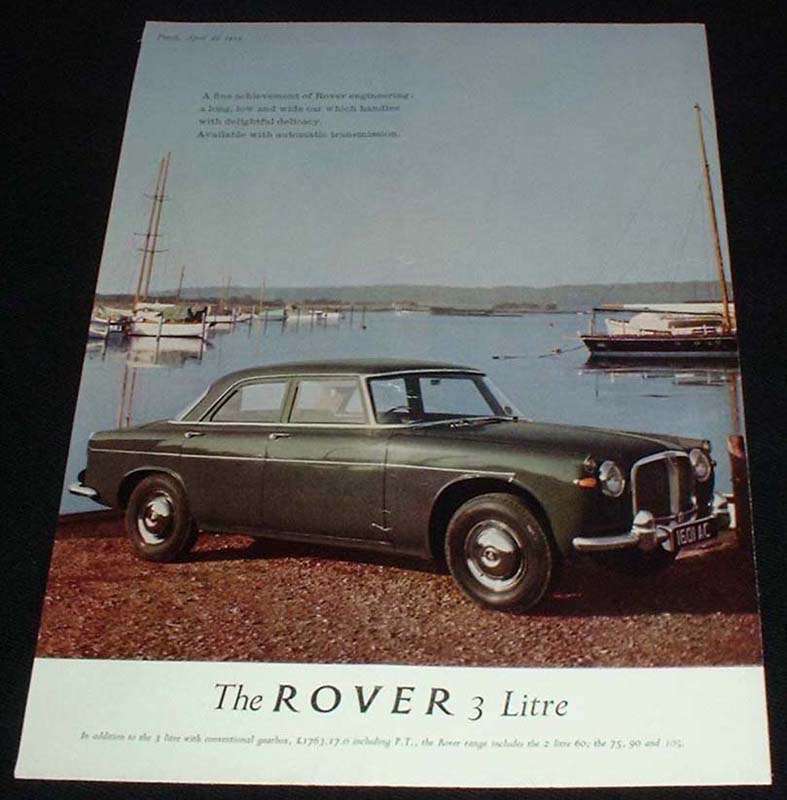 The caption for this ad is "The Rover 3 litre!" The ad is in great condition! I am sorry that the image came out so poorly. The actual resolution of the ad is very good and clear. This vintage ad would look great framed and displayed! Add it to your collection today!